Intermediate Yoga class is for you if you have done some yoga and know many of the basic poses. You can get yourself into a reasonable Downward Facing Dog and a Warrior 2 without much ado. You’re familiar with yoga props and how they facilitate your alignment in the pose. You appreciate hearing about variations of a pose because you don’t care for screaming hamstrings. You want a thorough warm-up in addition to a string of strengthening poses. You want to try new things, but safely. Being shown an advanced may excite you, but you have the patience to work toward it gradually. You know when to say no to a pose that doesn't feel safe to you. And you like a touch of humor mixed in with the sacred. This class is designed for the student who wishes to bring a more movement into their practice. Breath work (pranayama) and poses (asana) are combined so that the student has the opportunity to listen and honor the body just as it is in the moment. Less emphasis is put on alignment and attention is drawn to the physical, emotional and spiritual practice. All levels are welcome to attend; modifications and variations are always encouraged. Feature postures best suited for students with a year of yoga experience. However, most folks with little or no experience are comfortable beginning with this class. We will explore postures such as frog, eagle, bow, revolved triangle (with props), and many more, including yin postures (easy/moderate postures held for a period of time). Breathwork will expand to include calming, balancing and invigorating breathing techniques. Every two or three weeks we will end with a 10 minute meditation, focusing on breath and sensations. All classes are available for drop-ins if space permits. If you plan to attend a class as a drop-in, please contact Scott a day before the class to make sure space is available. 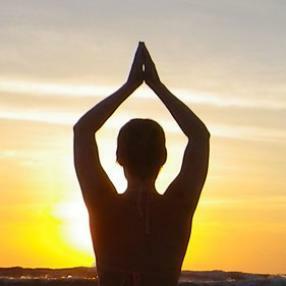 An eclectic style of yoga recently focusing on using yoga to help change negative patterns in your brain. Fun. 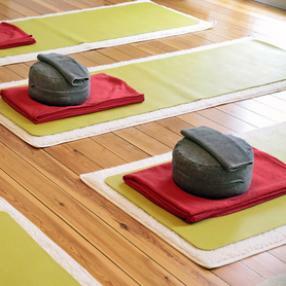 This class features less instruction and a lengthened meditation at closing which makes it best suited to those participants with some yoga experience. In the third year we spend a little more time practicing and learning each new posture, exploring balancing sequences, twists, upward facing bow, supported shoulderstand, plow, pigeon variations, half moon, revolved side angle and many more. You will often use props to create just the right variation of a posture for your unique body. We will also have fun with a variety of full-bodied yoga sequences, as well as continue our exploration of breathing and meditation techniques. Mixed level flow. This class is for those with some yoga experience. Predominantly vinyasa flow, we will focus on the breath, core strengthening, opening the channels of qi and creating grace within our mind body connection.